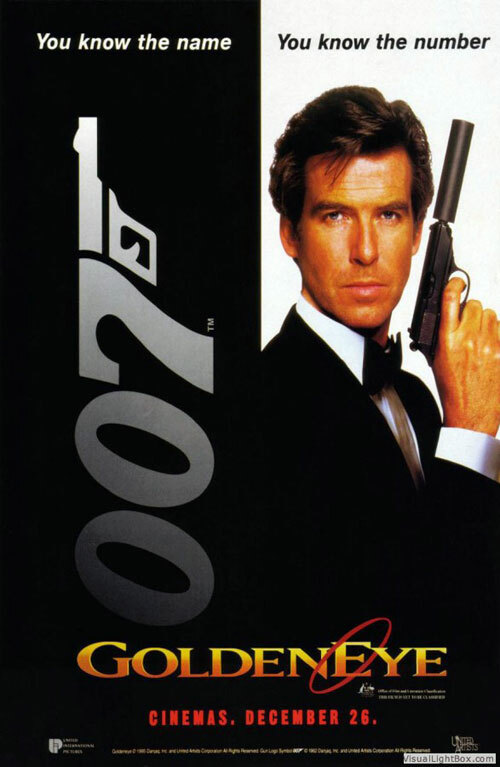 Pierce Brosnan seems to have done his homework when he put together his version of James Bond. In Brosnan we get the aggression of Connery, the arrogance of Moore, the seriousness of Dalton and a nice mix of gallows humour and bad puns thrown in for good measure. Somehow, this seems to be the best of Bond without feeling like a bad impression. From his first words as Bond (“sorry, I forgot to knock”) you feel comfortable with Brosnan as Bond. He isn’t taking the role too far away from what has been established before and more to the point, he looks the part. He his confident, the right age and can both kill a guy and get the girl. Brosnan’s Bond is probably the first truly successful “reboot” of the character (for lack of a better word). It also helps that he is Bond at a point when the times seem to have caught up perfectly with the spy. Bond always stood for ambition, action and amazing stunts and Goldeneye finally feels like it can really deliver on that front, offering some set-pieces that rival many other Bonds for their extravagance. The film starts off well with the opener set in a Dam facility. 006 and 007 are trapped and after a gunfight, explosions and a tense stand-off, Bond manages to “catch” a plane mid-air and fly to safety. Incredulous but not silly. Not too silly. Add to this a great mountainside car chase, a sky-high fist fight and a destructive tank scene and you have one of the best, action-filled Bonds in a long time. It isn’t just generic action though. Goldeneye has a decent story too. Rather than Bond chasing a villain halfway around the world to exotic locations, this story is full of double-crossing, technology and mystery. It isn’t a complex tale but enough to keep your interest. It isn’t just the technology that is bringing Bond into the modern era. Judi Dench makes her debut as M and is a breath of fresh air. She stands-up to Bond from the beginning and offers a fresh dynamic for the spy to play against. It’s not just the gender differences but the idea of two powerful personalities butting heads and it works very well. 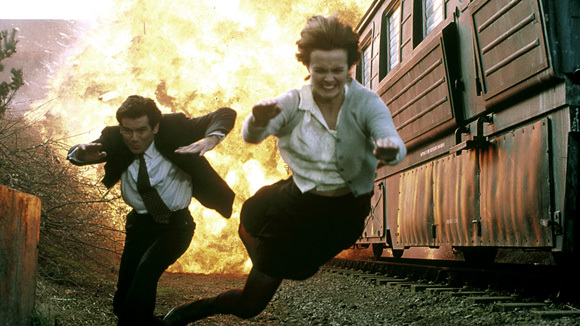 Goldeneye may have changed M and introduced a new, very welcome Moneypenny in the form of Samantha Bond, but it is the elements that stay the same that offer some credibility to the movie. The Bond Girls are effective and for once have great stories and characters of their own. Famke Jansen is great as Xenia Onatopp and is a credible threat for Bond while Izabella Scorupco is a decent ally to Bond, even if she is only just above damsel-in-distress for the final act. The movie also has a credible villain. There are many people standing in Bond’s way but Sean Bean actually manages to take on Bond physically, something that is usually reserved for a crazy henchman or physically huge specimen. It means the finale is excellent and with their unique relationship, one of the better endings to a Bond film. Best of all, Brosnan’s version of Bond and the “reboot” that Goldeneye offers isn’t silly. It has bad puns, some awful double entendres and innuendo but you get none of the camp, ridiculous elements that plagued Bond throughout the 70s and most of the 80s. 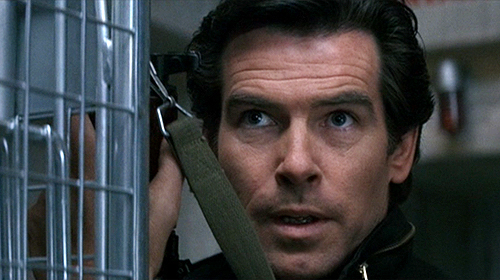 Overall, Goldeneye is how to refresh and reintroduce James Bond to a more modern audience. Pierce Brosnan’s Bond is a serious, no-nonsense, more action focused spy who can be as deadpan funny or deadly serious as required. Place that character into an action-packed spectacle with decent Bond Girls and a credible villain and you get one of the best Bond films in the series. And his fist fight with Bean is awesome. It’s one of the highlights of the movie. Brosnan just seems to “get” what being Bond is about. Spy with a smile.